The “final” numbers for the broadcast network shows from the 2012-13 season are in. These may be adjusted slightly at some point because a few shows are still airing new episodes (Revolution has its season finale tonight and Hannibal has a few more episodes to go), but for the most part the season has been wrapped and the networks want to know how everything played out. And surprisingly, four shows of interest to genre fans ended the season in the the Top 30 based on the ratings in the 18-49 demographic: The Following (9), Revolution (15), Once Upon A Time (20), and Person of Interest (22). Admittedly, the first one on that list has no sci fi elements and the last tends to play those down, but genre fans have taken a liking to both of those shows. 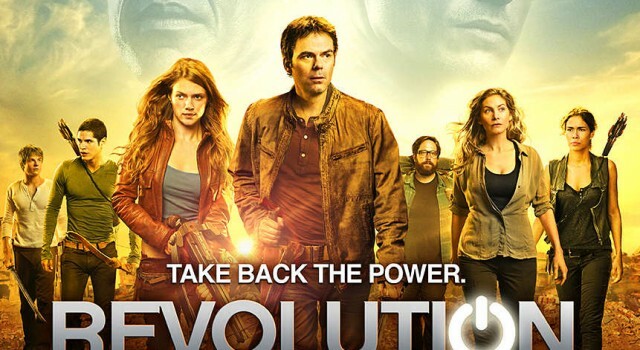 So that makes NBC’s Revolution the top true science fiction (using that term loosely) show for the season. And you have to go all the way back to the 1960’s for the last time we’ve seen even three or more genre shows rank that high at season end (you can see a full survey of past seasons at this link). Those numbers were based on total viewers, though–before the networks starting focusing on that sponsor-preferred 18-49 demographic. And in total viewing, only two ranked in the Top 30 this year: Person of Interest (5) and The Following (22), the two least sci fi of the end of season winners. It should be noted as well that both Revolution and Once Upon A Time rank where they are mostly on the strength of their Fall episodes. Both shows had a considerable decline in their ratings over the second half of the season and head into this coming Fall on somewhat tenuous standing. Expect their final rankings to decline by the end of next season and it wouldn’t surprise me if one or both of those find themselves struggling to stay afloat in the coming year. NBC’s Grimm was the next highest genre entry on the list at Number 51, a pretty decent ranking for a Friday night show (though it finished the season on Tuesdays where its numbers improved slightly). Next, at Numbers 56 and 70, were two of ABC’s cancelled entries: 666 Park Ave and Last Resort. They actually did better than renewed shows Hannibal (NBC) and The Neighbors (ABC), but then those latter two had lower expectations because of Hannibal‘s timeslot and the fact that The Neighbors is a sitcom and is not necessarily expected to pull the same numbers as an hour-long drama series. After that are mostly the mid-season entries that came and went pretty quickly followed by the shows from The CW that these days seem to need no better than mid-level cable net numbers to survive. As far as year over year change in the 18-49 demo rankings, the biggest winners were Person of Interest (23 to 22), Grimm (81 to 51), Vampire Diaries (123 to 112), and Supernatural (141 to 130). However, that had more to do with the overall erosion in network viewing that brought down the numbers for other shows rather than rating improvements for those individual shows. Genre entries that dropped year over year included Once Upon A Time (16 to 20, Renewed), Touch (45 to 140, Cancelled), and Nikita (150 to 176, Renewed for shortened final season).